Ninja Gaiden 1 pretty much single-handedly changed everyone’s expectations with regards to action adventure games back in 2004. It was a revolutionary makeover of a classic series into the modern world of gaming, bringing with it engaging and challenging combat, intuitive and innovative enemies and well crafted levels – Ninja Gaiden 1 was a masterpiece. To put it bluntly, Ninja Gaiden 2 wasn’t received as well. With some developer shuffling at Namco, Ninja Gaiden 2 emerged as a shadow of the original with all the essential mechanics still present, but the soul of the game missing. Now we have finally made it to Ninja Gaiden 3, which has a tough task ahead of it. Will this instalment be the best in the series or another lacklustre sequel that fails to live up to the fantastic original? 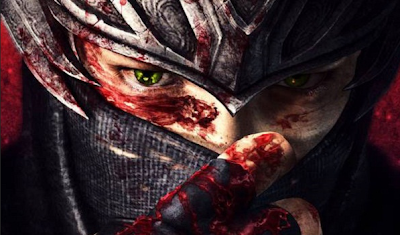 What immediately stands out in Ninja Gaiden 3 is this game is heavily story driven. While previous instalments in the series had Ryu’s tale pacing slowly behind the scenes, Ninja Gaiden 3 attempts to modernise the experience somewhat with an intrusive and convoluted story line. This is rather unfortunate as the characters are all pretty much unlikeable, it’s way too easy to predict how the story will unravel and rather long cut-scenes seem to always pop up when you least want them to, disrupting the pace of the game entirely. It’s fortunate then that the story is never what would bring an action junkie to a Ninja Gaiden game right? When Ninja Gaiden 3 lets you get into the action you will notice a whole host of changes from the previous games. First of all there is a lot more quick time event interaction here, with the game constantly prompting you to press “this button here” to perform this finisher or “x button that way” to dodge that hazard. Ninja Gaiden 3 has tried to take a rather big leaf from God of War’s book by trying to mix combat and quick time button presses together. The QTEs allow Ryu to do a whole bunch of cool things like K.O. enemies by grinding through their bones with his awesome Dragon Sword, but the awkward camera angle jumping in and out of close view makes this a pretty jumbled experience. More often than not you could find yourself mashing the X or Square button and just watching the camera going ballistic as Ryu jumps from enemy to enemy performing a barrage of finishing moves while you have no real idea of what’s going on. It is this previous statement that really defines what’s truly wrong with Ninja Gaiden 3. On medium (default) difficulty, it is absolutely plausible to button mash your way through Ninja Gaiden 3 without any real worry, tell me you don’t see a massive problem with that? This series has always been known for its extremely challenging and intricate combat mechanics, where even a single basic enemy could cause you serious discomfort but here it’s simply not the case. Where as before Ryu Hayabusa had access to a variety of weapons and Ninpo magic, he now has only the Dragon Sword and an insane Ninpo finishing move that wipes out every enemy on the screen! It’s apparent that Ninja Gaiden 3’s normal mode has been simplified in an attempt to cater for the masses. This particular issue has had many reviewers grinding their teeth in view that this is a betrayal of the series but I can’t quite help but feel that there’s a reason you can simply increase the difficulty level to enjoy Ninja Gaiden 3 in a more natural and challenging environment. I praise the development team for thinking about those who haven’t had a chance to get stuck into a Ninja Gaiden game before, but I would have hoped they would have made it abundantly clear before you pressed play that players who have already completed previous Ninja Gaiden games MUST increase the difficulty level to experience any form of challenge. That aside Ryu has a few more nifty tricks up his sleeve to keep Ninja Gaiden 3 feeling fresh from its predecessors. Ryu can now scale walls and attack enemies from above using his Kunai Climb ability and the reverse wind technique has been removed in favour of a new dash-slide that helps Ryu avoid danger and move across the map quickly and efficiently (although once again the camera angle can get iffy). Ryu’s cursed arm is also the source of his new ultimate technique, which can be unleashed when enough enemies have been killed. This too sees Ryu explode across the screen slaying multiple enemies in succession, which again on the normal difficulty setting serves to ease the experience for newcomers. Lots of nostalgic elements from the Ninja Gaiden series have been omitted in an attempt to streamline Ninja Gaiden 3 with the Muramasa store, scrolls, items and dragon statues all gone from the game. Ryu’s only other tools are unlimited shuriken and a high-tech bow for dealing with ranged and flying enemies. So far it seems that Ninja Gaiden 3 is failing to impress in this review, but I felt I had to emphasize the differences between the games to really help you understand where this instalment stands in comparison. Ninja Gaiden 3 does have some really positive things going for it. In particular is the terrific level design – when you up the difficulty to hard you can really appreciate the hard work put in by the development team to make sure Ninja Gaiden 3’s levels were an absolute joy to look at and traverse amidst battle. Also Ninja Gaiden 3 has a good variety of enemies and despite a few big guys coming back for multiple showings, has some of the best boss battles this series has ever seen. Giant dinosaurs and robot spiders to name a few, but these huge battles can definitely be seen as the highlights of this game and getting to these particular sections is absolutely worth it. If you’re looking for a little fun outside of the single player, then it’s worth in part out of intrigue to check out Ninja Gaiden 3’s cooperative challenge and competitive modes. The former concentrates on Ninja Gaiden’s core action and will surely appeal to fans of the series. The latter however, is a bit of a gimmick and is once again plagued by the game’s frustrating camera. It’s obvious however why people purchase a Ninja Gaiden game and this is merely additional content to supplement the core single player gameplay. From a technical perspective Ninja Gaiden is impressive on many levels. Visually this is a stunning game, both environmental and character design are superb. The enemies are all beautiful in their own unique way and combat is wholly impressive, especially on the hard difficulty setting. The voice acting is poor for the most part, but audio throughout the game is terrific, especially when enemies scream in agony as you impale them with your mighty Dragon Sword. The real issue here that hinders the game is this damn camera, which just won’t stay still long enough for you to ever really figure out what’s going on in the more heated battles. Ultimately don’t let Ninja Gaiden 3’s emphasis on story and streamlined gameplay layout fool you, this is a Ninja Gaiden game, but it’s simply hidden in the menu screen! Those of you who have never played a Ninja Gaiden game before in fear of the relentless difficulty will be very pleased with the game’s default setting. Old school Ninja Gaiden fans push the game up to hard mode and enjoy another great Ninja Gaiden experience. This is Ninja Gaiden streamlined for the masses. The removal of extra weapons and a variety of magic absolutely suggests the developers wanted a Ninja Gaiden that was much easier to access for newcomers to the series. The unnecessary over-use of QTE’s makes you feel at times like you’re watching an interactive movie as opposed to playing a game but on the hard difficulty this really does feel like a Ninja Gaiden game. You wouldn’t expect anything less from a Ninja Gaiden game. It is beautiful in every department but presented awkwardly with a frustrating camera. The camera has always been Ninja Gaiden’s worst enemy going all the way back to 2004 and it seems this issue is almost impossible to correct! So much so that I’m finding it difficult to keep nit-picking it as an issue every time I review a Ninja Gaiden game. The multiplayer experience is hit and miss. Cooperative challenges are a lot of fun actually because they concentrate on Ninja Gaiden’s core gameplay mechanics, which is ultimately what we want. The competitive online mode is more of an intrigue than anything else really. I don’t see any real reason to keep coming back to that mode after you’ve given it a quick go to see how it plays, which by the way, is pretty average. Ninja Gaiden 3 has been surrounded with a lot of journalistic hype as review scores have been ranging from 3.5 / 10 all the way up to 8. Now I fully appreciate that everyone can have their own opinion, but that’s a drastic difference in opinion right there. I believe that right out of the box, Ninja Gaiden 3 doesn’t do justice to the series – it is too simplified, streamlined and in a word, westernized for my liking. The stripped down gameplay and introduction of overpowered finishing moves makes it hard to find the Ninja Gaiden game hiding under the surface. Push the difficulty up to hard however and get ready to enjoy a familiar Ninja Gaiden experience with well-crafted levels and some of the series’ most impressive boss battles to date. It may not be perfect, but it’s certainly a Ninja Gaiden game at heart.